Freesat - FREE HIGH DEFINITION VIEWING! Freesat is provided FREE of any monthly charges and boasts FREE HIGH DEFINITION VIEWING! 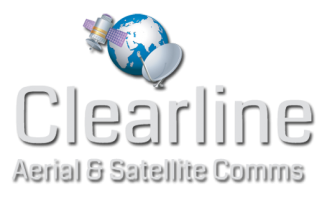 Let Clearline Aerial and Satellite Communications install this great service in your Kilmacolm home! Launched in Spring 2008 the service now has in excess of 200 digital TV and Radio channels. Clearline Aerial and Satellite Communications are Freesat installation specialists and can install or repair a Freesat satellite system of your choice for any home around Glasgow. 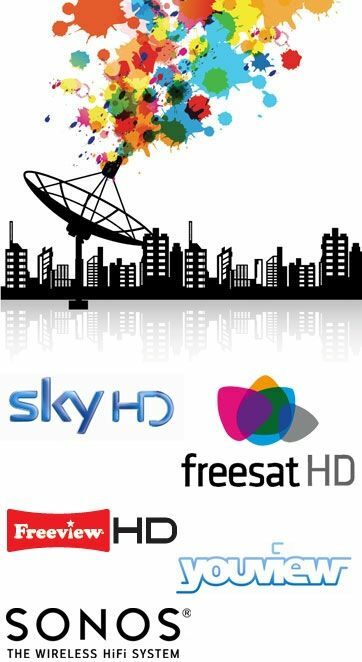 Freesat requires NO monthly subscription, charges or contract to receive the fantastic FREE channels on offer! All that is required is the installation of a new Freesat digital satellite system, which is a ‘one-off’ cost. We can supply and install Freesat SD, Freesat HD and Freesat HD Recordable satellite systems. Be sure to contact Clearline Aerial and Satellite Communications for information and advice on which Freesat digital satellite receiver is suited to your requirements. Get in touch with Clearline Aerial and Satellite Communications today for a free no obligation quotation on Freesat installation. Using the Click to Call button on our website will get you connected for free! You can also get through to our expert team on 07786324705 or for more general enquiries you can email us by filling in the form on the Contact Us page.